Curiosity | Bright Words Montessori Sojourn, Eagle’s Nest! Are Inch Worms really worms? No. They are not worms at all! Who is Gene Luen Yang? He is a cartoonist / comic book author. Curiosity, Whatcha Readin' Mr. Avirom? How to Deal With Your Annoying Little Brother…..and GIANTS! Do you love to write? What should you write about? even that means writing about your annoying little sibling. That’s what a 1st grade girl from Alabama did, and now she’s a published author! 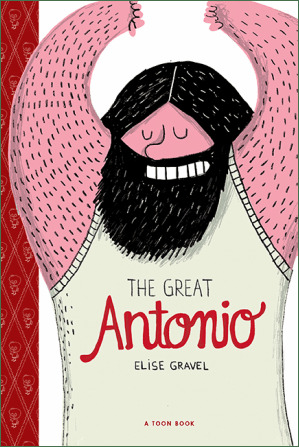 The Great Antonio by Elise Gravel. Not only is it a TOON BOOK and a graphic novel but it’s a true story!